Posted on 28th July 2015 at 7:28 am. 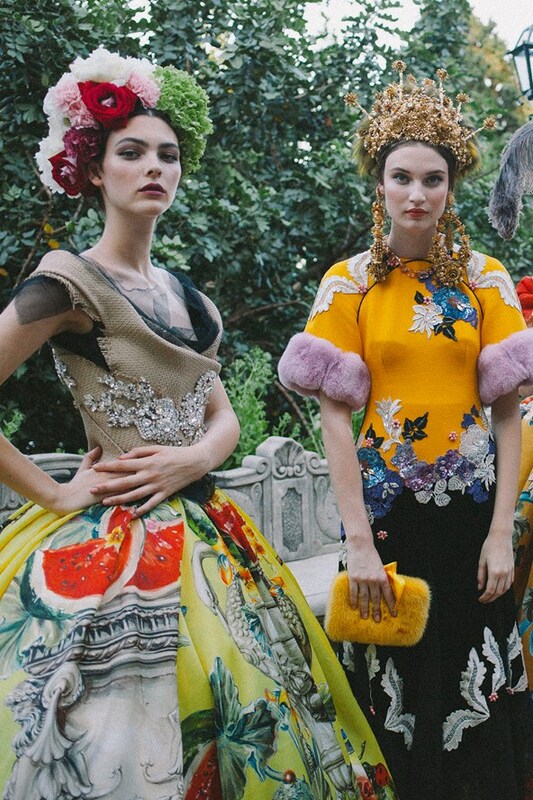 We’d all love to wear couture, of course, but in reality, it’s a little more complicated than that. While not every piece is an extravagant ballgown creation, those are the ones that set wardrobes apart and infer hierarchy (and no doubt a bit of jealousy too). 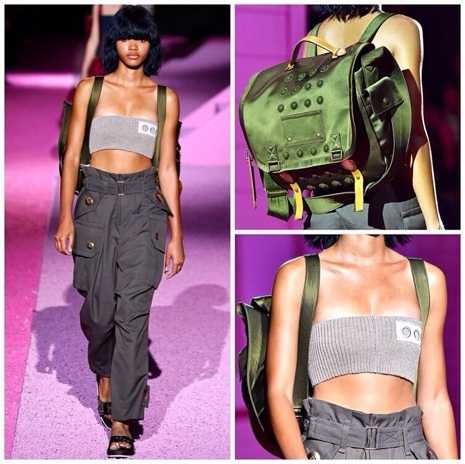 But that doesn’t mean we can’t dream and that doesn’t mean there isn’t anything we can’t take away from the collections that took to the catwalks in Paris. They are, after all, a walking inspiration board of their own. And this was a season in which accessories came to the fore. They were there to be noticed. 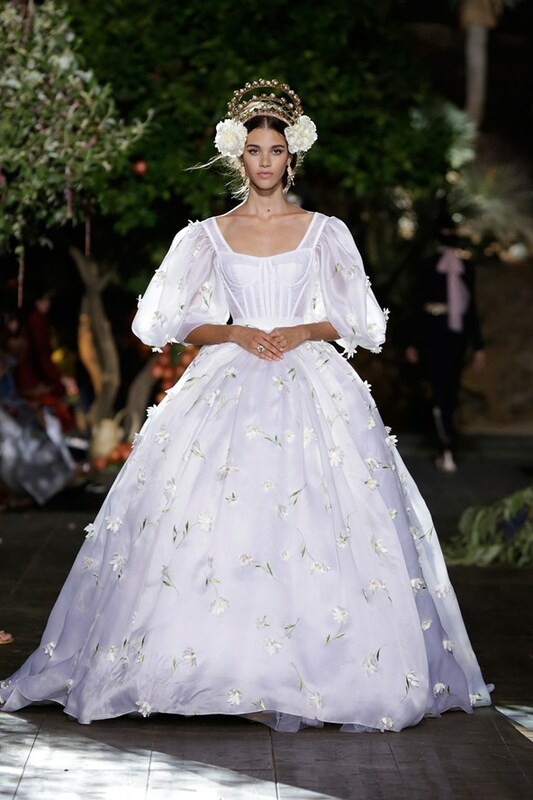 First there were those headdresses that riffed on A Midsummer Night’s Dream, which became quite the trend in fact – spotted first at Versace, then Elie Saab as well as Valentino, Alberta Ferretti and Dolce & Gabbana. Summer brides should take note – these were the epitome of ethereal elegance and brought romance to every look. Flowers and feathers were added for height and exuberance at Dolce, while shimmering ribbon entwined in braids made for a headdress effect at Ferretti. 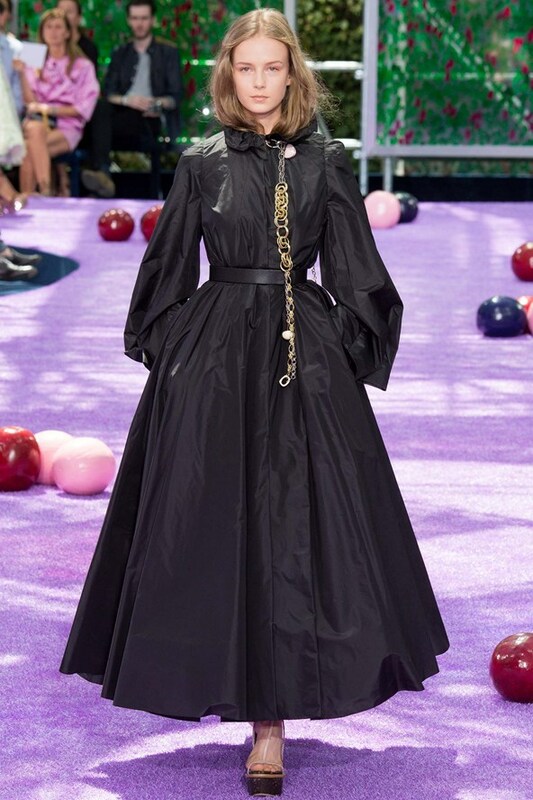 Then there were the huge weighty chains around necks at Dior, a style note we began to see among the label’s pre-spring/summer 2016 collection – there on the handles of bags. Anchor-like, they were a clever take on the ball and chain. Start to think about going XL with your jewellery as we come into the new season, it looks fresh and new. These will be desirable hits. Giambattista Valli, too, flew the flag for serious accessories. 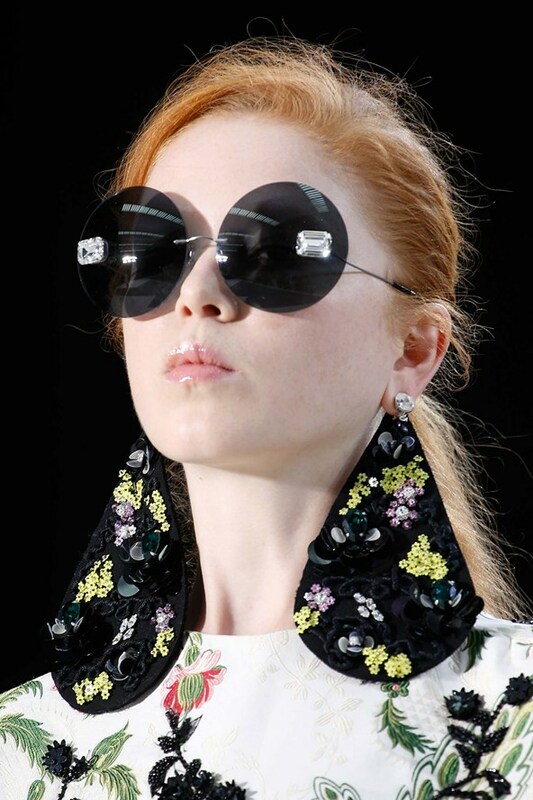 Shades were of bulbous bug-eye proportions (as he so often does) teamed with fan-like earrings to match. Dainty just didn’t cut it. But overall the shape was simple, focus on ornamentation for embroidered flowers and incandescent sequin shards. 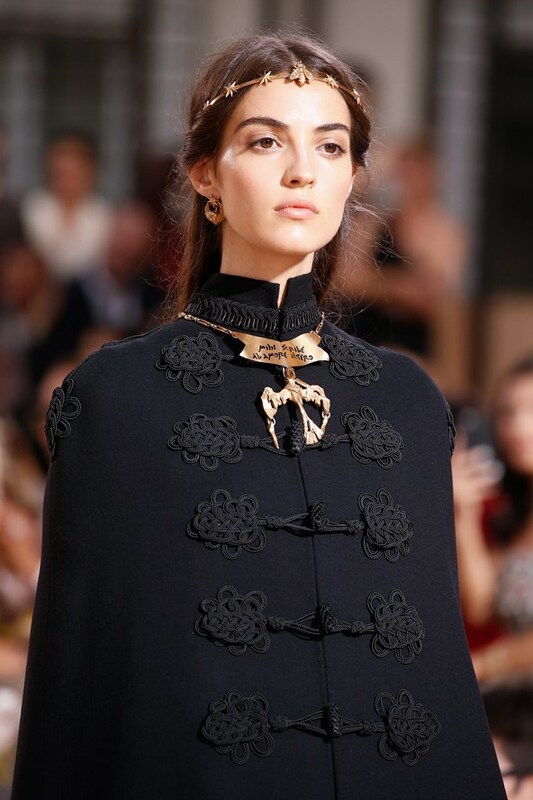 And where once you might have been told not to combine a neck piece and a headpiece together, Valentino showed how to make it work. Gold pendants or sculpted pieces were matched to golden wreaths worn like crowns in the hair. A more day-to-day version of this would be a sizable hairclip or slide worn with a chunky necklace. But this isn’t about more is more and piling it on. This is about carefully considered choice pieces – that just so happen to be bigger in shape or size for note-worthy effect. Posted on 2nd April 2015 at 2:35 pm. WHAT better way to cement your reputation as the working woman’s go-to brand than to stage your spring/summer 2015 fashion show in an entrance tunnel to Kings Cross tube station? 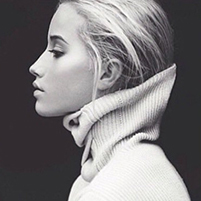 The novel idea came from Whistles, who in doing so cleverly took their customer off the catwalk and put her into context: on-the-go and always looking good. The tight edit of sleeveless jumpsuits, cutout dresses, tactile knits and statement jackets in a limited colour palette of white, black, peach and the palest of blue all emanated the brand’s progressive-but-pared-back mix and will no doubt fly off the shelves when they hit the shop floor next year. A very stylish commute beckons. Posted on 26th March 2015 at 10:17 am. A BUBBLE GUM pink suburban house sits on pink gravel in the Park Lane Armoury. The audience are seated on banks of shagpile pink carpeted benches and each given a pair of Beats by Dr Dre headphones to wear for the show. Through the headphones a disembodied voice intones instructions: “Bring out the crooked smile and the backpack”; “Go into the house and take a shower”. Is he talking to the Marc Jacobs army parading around the exterior of the house in military serge with their mandarin-collared jackets and oversized buttons? Is he controlling the girls with their shaggy black bobs and their satin-belted army style? Who is he? Fashion shows as theatre is something Jacobs is a master of and possibly it distracts from seeing the clothes for what they are. Certainly some of the details like the huge resin buttons, the macramé lace inserts, the rich luxury of the wool and linen were of the highest quality. It didn’t look much like a spring/summer collection but the glitter-strapped sliders will no doubt be on everyone’s wish list any day now. Posted on 23rd March 2015 at 11:38 am. TWO years ago, Alber Elbaz celebrated his 10th anniversary at Lanvin (complete with karaoke from the designer himself no less), but tonight he was celebrating 125 years of the brand. That’s a – cause for celebration, and b – cause for enlisting some of your favourite fashion friends to take to the catwalk for you – with Amber Valetta (all hair slicked back and in a slinky black column dress) among the model line-up. 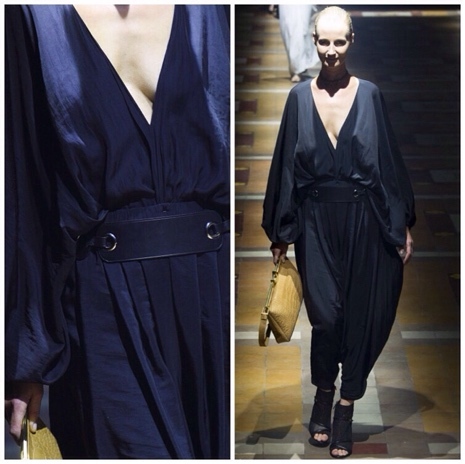 Edie Campbell later followed with a mop head of blonde ruffled hair, all louche and cool in a slouchy tuxedo. And while there was no cake or karaoke from Alber this time (although there was a little dance – well, wiggle – from him at the end) what there was, was a breadth of clothes for a breadth of women to show just why and how Elbaz is a much adored designer at the house of Lanvin. It began with sleek Grecian dresses, slit at the thigh, in navy, black and white, substantial jewellery clamped around the neck and a bag appearing with every look. These – elegant and gently draped numbers – seemed like a due and appropriate nod to Jeanne herself. We then moved on to Alber’s own repertoire – super sophisticated tailoring for today’s woman but with his rough edges and open seams for design distinction, followed by what we know and love him best for – party dresses. They were less cocktail and punchy than we know from him (we’ve seen these in bright jewel shades), but you can’t help but think this was the designer stepping aside slightly in honour of the house. There all the same, they were molten and metallic and had his signature sumptuous luxe about them: lace, pearls, all together. Next it was on to a series of wafty and light printed tunic dresses, a modern and short bohemian riff on the Lanvin robe de style perhaps. They came in vivid yellow and red. The take away from this collection was Elbaz’s ability to design and cater for a multitude of women – just as his model line-up proved. 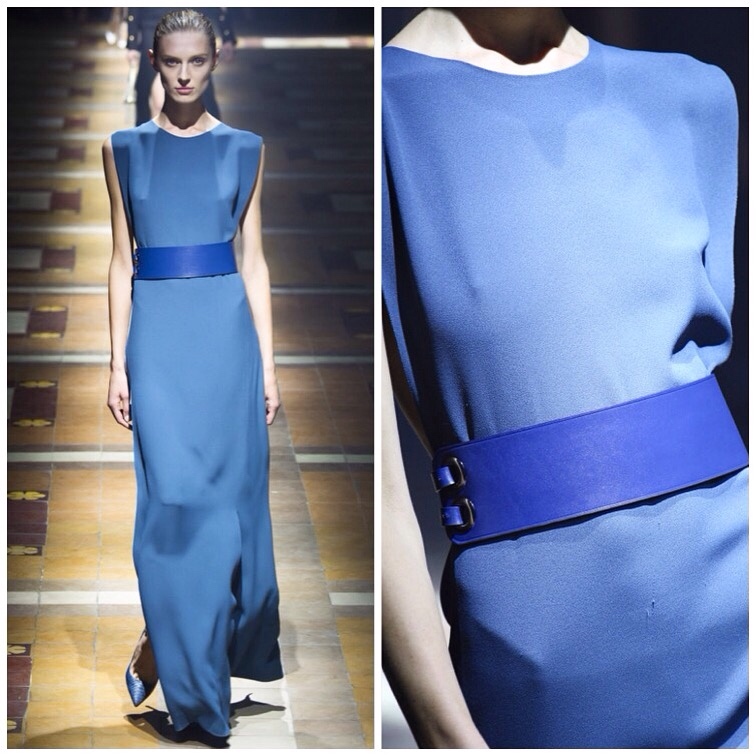 And that’s the key to Lanvin’s success right now.